Edward Larson holds professorships in history and law at the University of Georgia. He has been writing about the history of evolution and creation since 1985, when he released his first book on the subject. 1 In 1998 he won a Pulitzer Prize for his history of the Scopes trial, Summer for the Gods. 2 In his latest book, Larson offers a sweeping overview of the history of evolution, covering the major personalities, ideas and social aspects from just before Darwin almost to the present. It was intended to be a concise narrative, so all of the topics covered are necessarily sketched without much depth. Nevertheless, this book contains a remarkable wealth of information and, better yet, a panoramic perspective that is really valuable. 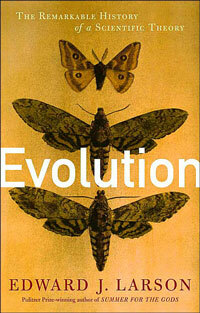 Larson starts with the developments in the early 19th century that set the stage for the acceptance of Darwin . 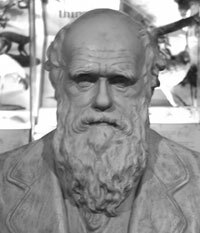 Many people today somehow have the image of Darwin springing evolutionary theory on a world of Biblicists, so it is always valuable to be reminded how much groundwork had already been laid for him. Georges Cuvier, the eminent French scientist of the early 19th century, built the underpinnings of evolutionary theory, because his multiple catastrophism denied the biblical timescale. At the same time, Cuvier’s colleague Lamarck was promoting a ‘transmutation hypothesis’ (which Cuvier staunchly opposed), which was a forerunner to modern evolutionary theory (pp. 38–42). Shortly thereafter, Charles Lyell used his lawyer’s debating skills to build a case for uniformitarianism and dispense with catastrophist explanations for geology, which he found philosophically unacceptable. Larson explains that, for Lyell, ‘invoking larger-than life past catastrophes smacked of religion’ (p. 48). On p. 51, Larson also recognizes a crucial point: methodological naturalism was firmly entrenched in science by the 1830s, and this made the acceptance of evolution in some form or other inevitable. The stage was set for Darwin . 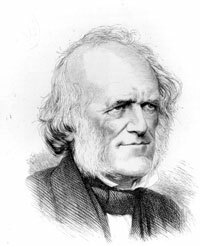 Lawyer Charles Lyell used his debating skills to build a case for uniformitarianism and dispense with catastrophist explanations for geology, which he found philosophically unacceptable. We are introduced to Darwin as he is about to set out on his famous voyage on the Beagle. Larson crafts an excellent narrative as he describes Darwin ’s enthusiastic conversion to uniformitarianism, his gradual formulation of evolutionary theory, and his release of the Origin of Species. The fascinating storyline continues as we are introduced to Huxley, Haeckel and other apostles of Darwinism, as well as the emerging social implications and repercussions of evolution. In chronological fashion, Larson recounts the history of the American ‘antievolution crusade’ of the 1920s, the Scopes trial, and the American legal battles over the public school curriculum in the 1980s. He also gives some coverage to creationist and Intelligent Design history, which he includes in the chapter entitled ‘Modern Culture Wars’. In all the coverage of the social history, the scientific theories are by no means overlooked. Larson does a very good job of condensing complicated scientific issues and controversies, getting to the point, and keeping the story flowing. In a survey that spans over 150 years of scientific history, with countless developments having a bearing on the development of evolutionary thought, this is no small achievement. Particularly good are his descriptions of the controversy between Darwinian natural selection and Lamarckism, the rise of Mendel’s genetics that devastated the original Darwinian theory, and the hardening of the modern neo-Darwinian synthesis. Well-informed creationists will be encouraged in reading this panoramic history of evolution. Every step of the way in the development of evolutionary theory, we can see that the real science was far from confirming molecules-to-man evolution. In fact, the scientific findings were constantly providing a better understanding of how nature works in a biblical creationist framework. Though Larson does not mention this, many of these points should be obvious to anyone familiar with today’s creationist literature. I would like to cover a few instances. Darwin proposed that animals adapted to their environment by means of natural selection. However, he erroneously took this fact and extrapolated it out to try to argue for the common descent of life. And a third example emerges from Larson’s panoramic coverage, when he describes the root of the modern ‘neo-Darwinian synthesis’ as basically just natural selection plus genetics. In his own words, the ‘synthesis’ is the combination of ‘Darwinian selection mechanisms with the findings of modern geneticists’ (p. 233). This means that when you get down to basic scientific facts that underlie the whole edifice of modern Darwinism, they turn out to be the same scientific facts that creationists use to explain biological history (especially post-Flood developments). The difference is that creationists stay within the limits of information theory and the kinds that God created. Evolutionists have to make what even Larson recognizes as the ‘essential extrapolation’ (p. 237). This is not a new revelation; creationists have long pointed out that the argument is not about the facts, but the interpretation of the facts. But to see this illustrated so clearly in the history of evolution drives the point home in a unique and powerful way. This is a book about the history of evolution, but Larson also includes some sections on creation and intelligent design. Here, Larson’s attitude is condescending and dismissive. While I was not surprised, I was still disappointed, since Larson’s Summer for the Gods and Trial and Error generally had more balanced coverage. But when Larson introduces America ’s antievolution ‘crusade’ of the 1920s, his coverage is much more problematic. Larson begins the section by quoting frenzied, sensational statements from Billy Sunday (pp. 201–203), a popular evangelist of the time. Thus, the mood set for the anti-evolution efforts is populist, impetuous and uneducated. It is unfortunately true that the ‘crusade’, which would culminate in the Scopes trial, was characterized more by rhetoric than by careful reasoning. But the basic concern of the antievolution leaders, that evolution would do away with a firm basis for morality or would restructure morality on an entirely new basis, was indeed an important one. The seriousness of this issue is borne out in the eugenic and racist philosophies promoted on the basis of evolution, which Larson covers in chapter 8. (Incidentally, both racism and eugenics were promoted in the popular American biology textbook involved in the Scopes trial. 6 ) Overemphasizing Sunday (who was not at the centre of the anti-evolution effort) only distracts from the serious issues raised by the antievolutionists. Of course, creationists accept natural selection—in fact, the creationist Edward Blyth proposed the concept 25 years before Origin. Larson’s comments make it clear that he views creationism as hyper-religious belief pitted against science (pp. 251, 253). Larson makes the unusual statement, ‘Virtually no secular scientists accepted the doctrines of creation science; but that did not deter creation scientists’ (p. 258). However, a secular scientist, by ordinary definition, cannot accept creation without ceasing to be secular! Also, Larson links creation to Seventh-day Adventist beliefs, a standard strategy to try to discredit creation. This is historically false, since the Church Fathers and Reformers were overwhelmingly YEC,7 and the attempted foisting of the SDA connection smacks of the genetic fallacy. Then he describes Henry Morris as ‘a Southern Baptist hydraulics engineer’ and John Whitcomb as ‘a Grace Brethren theologian’ (pp. 254–255). While acknowledging that ‘each held a doctoral degree in his field’ (p. 255), Larson emphasized denominational affiliation much more than academic qualifications. (He definitely should have mentioned Morris’s position as a professor at Virginia Tech.) Larson briefly quotes Henry Morris, Whitcomb and John Morris on scriptural authority and social concerns, but gives absolutely no attention to the scientific argument for creation, dismissing it as merely a ‘scientific sounding alternative’ to evolution (p. 255). His treatment of the Intelligent Design (ID) movement is quite similar (so much for ID’s attempt to keep religion out of the discussion). Phillip Johnson is ‘a dynamic adult convert to evangelical Christianity’ (but at least his law credentials are mentioned) who became popular ‘within the conservative Christian community and … attracted a core following within academia’ (pp. 261–262). After briefly mentioning Behe and Dembski, Larson makes it sound as if all the issues raised by the ID movement have already been answered. He seems to allow evolutionist Kenneth Miller to summarize ID for him as an ‘imposter masquerading as a scientific theory’ (p. 263), despite Miller’s demonstrable unreliability.8 Larson has a habit of using quotes from others to speak for him, thus preserving his appearance of objectivity. Incidentally, creationists and Intelligent Design proponents are not the only ones to be dismissed from relevance. Stephen Jay Gould’s punctuated equilibrium theory suffers a similar fate, although not nearly so harsh as that dealt out to non-evolutionists. In this case, Larson acknowledges that Gould’s critique of the modern synthesis was based on the fossil record. He gives a brief description of Gould’s theory but ultimately sidelights it by stating that Gould’s ‘rebellion’ was mostly confined to ‘one wing of paleontology’ (pp. 282, 283). It seems that Larson gives no credence to any dissenters from mainstream Darwinism. I would not recommend this book for people unfamiliar with the issues. It gives the overall impression that evolution is indeed an imposing, solid and thoroughly scientific theory. It covers various evidences for evolution in historical context without mentioning the existence of alternate explanations. Yet, despite its faults and indiscretions (including the dust jacket picture of the now discredited peppered moths), this book is an important and valuable one for well-informed creationists. It is concise and is good reading. Though its discussion of creation is flawed, it does provide a big picture of evolution. It should be helpful in giving creationist researchers a historical perspective on where evolution is now, and what we are dealing with. Larson, E.J., Trial and Error: The American Controversy Over Creation and Evolution, Oxford University Press, New York , 1985. Return to text. See review of Scopes Trial:Facts v Inherit the Wind fiction; in: Wieland, C., A review of: Summer for the Gods: The Scopes Trial and America’s Continuing Debate over Science and Religion, by Edward J. Larson, TJ 12(3):267–269, 1998. Return to text. For an overview of the creationist understanding of natural selection, see Wieland, C., Muddy waters: clarifying the confusion about natural selection, Creation 23(3):26–29, 2001. Return to text. A general overview is provided by: Lester, L., Genetics: no friend of evolution, Creation 20(2):20–22, 1998. Return to text. Mortenson, T., The Great Turning Point, Master Books, Green Forest , AR , 2004. Return to text. Hunter, G.W., A Civic Biology, American Book Company, New York, pp. 195–196, 263–265, 1914; on the popularity of this book, see Larson, ref. 1, p. 84. Return to text. Sarfati, J., Refuting Compromise, ch. 3, Master Books, Green Forest , AR , 2004. Return to text. 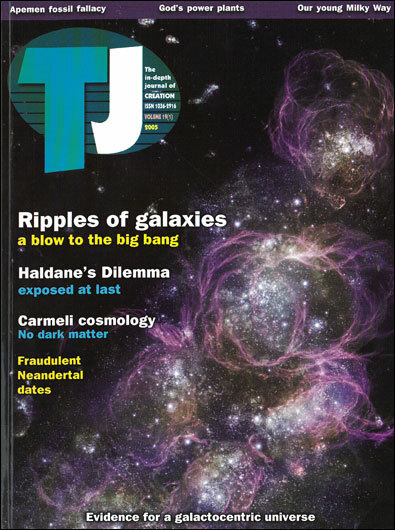 Woodmorappe, J. and Sarfati, J., Mutilating Miller: A review of: Finding Darwin’s God, by Kenneth R. Miller, TJ 15(3):29–35, 2001. Return to text.